With the world’s biggest production motorcycle engine the latest Rocket III Roadster builds on the huge performance of the original Rocket III but now with even more torque. 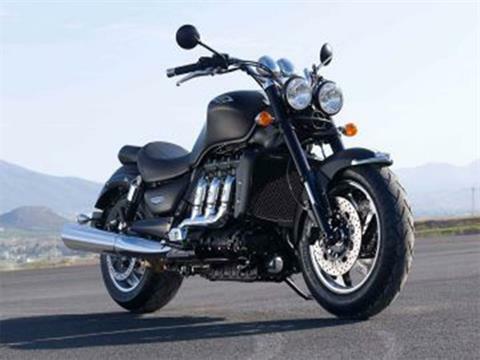 The 2.3 liter, three-cylinder engine is designed to be an arm-wrenching thrill to ride, yet easy and unintimidating too, despite its thunderous roar. Its sweet handling chassis, rigid frame and sophisticated suspension gives you the confidence to sweep through corners and change direction with an agility that belies this Roadsters size. The latest Rocket III features blackened components including radiator cowls, rear mudguard rails, airbox cover, fork protectors, and mirrors giving our Roadster an even more menacing look. There's nothing else like it out there, not to look at, nor to ride. 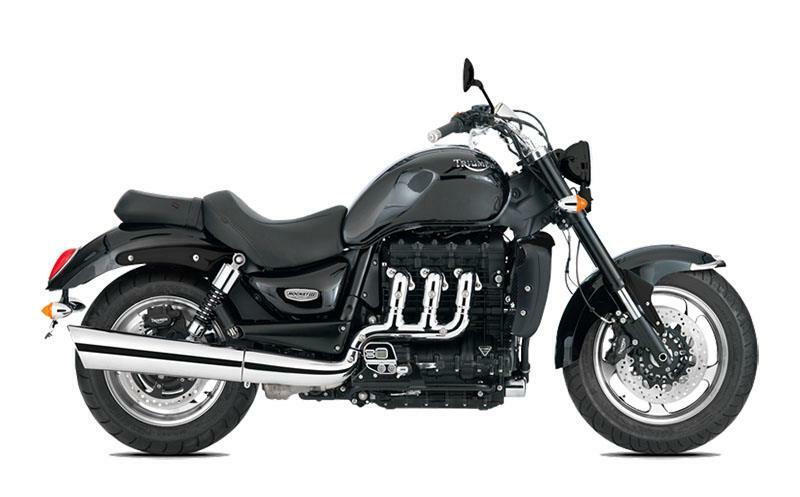 WHEELS/TYRES: The rear width on the Rocket III is an awesome 240-Section/240 mm. BRAKES: A bike like this needs a pair of vice-like, four-piston calipers. The calipers grip the 320 mm discs and are backed up by our advanced ABS system and a huge 316 mm disc at the rear. FRAME: We developed the big, tubular steel twin spine design to be strong and rigid enough to contain this powerhouse of a motor and we focused on giving you a great level of agility too. HANDLING: The Rocket III gives you low speed balance and beautifully neutral steering so when you’re faced with a twisty road you can be filled with confidence. SUSPENSION: We gave the front end sportbike-style upside down forks 43mm in diameter, so they’re strong enough to cope with all the forces a bike like this can deal out. 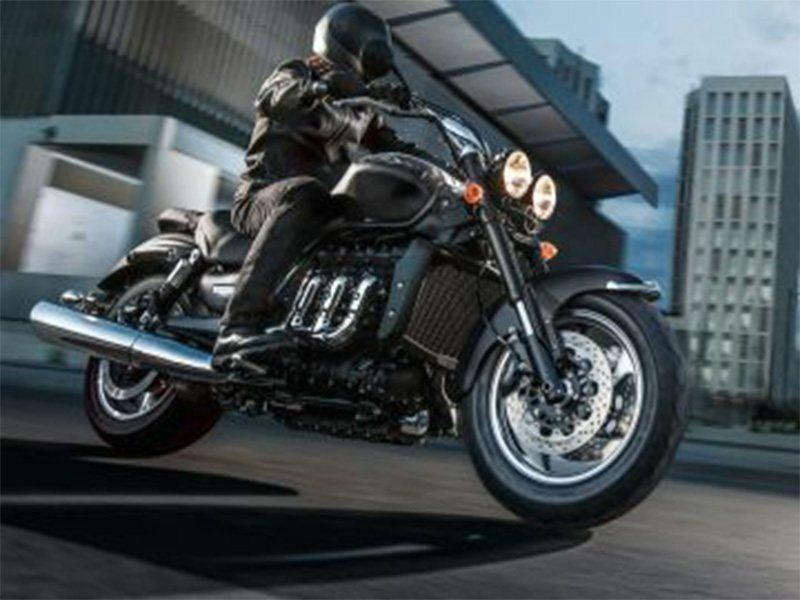 POWER AND PERFORMANCE: The capacity of the Rocket III is huge, 2,294cc, and with a gut churning 221 Nm at just 2,750rpm it has more torque at idle than most superbikes at full chat. The latest engine is unrestricted thereby delivering its full strength in the first three gears giving it almighty punch. SHAFT DRIVE: With a shaft drive that needs no maintenance outside the scheduled service intervals, you have a roadster that's so reliable, durable and engaging that you could even go touring on it. Configuration: The three big cylinders are arranged length-ways along the bike. To tame the reaction of the massive torque, the crankshaft counter-rotates so the bike stays steady when the throttle's blipped. 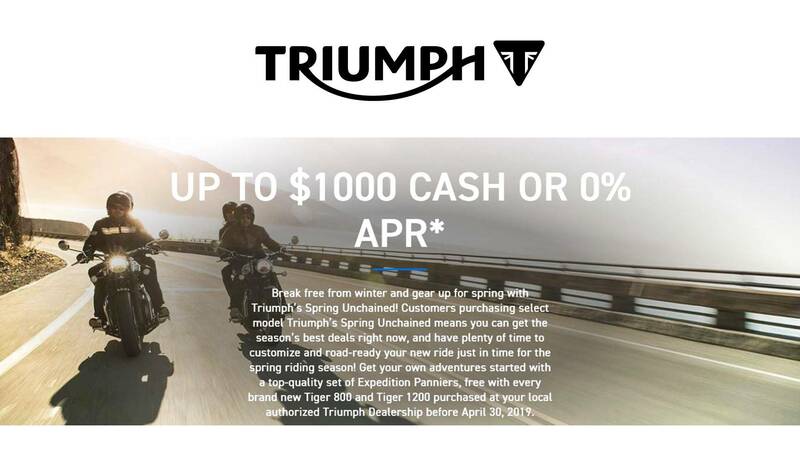 TECHNOLOGY: This is a premium flagship motorcycle so we equipped it accordingly. all the instruments are all there for you, fuel gauge, gear indicator, dual trip and clock in addition to the basic functions. Then there's the signature massive twin headlights making a powerful style statement and lighting up the road ahead at night for safer riding. 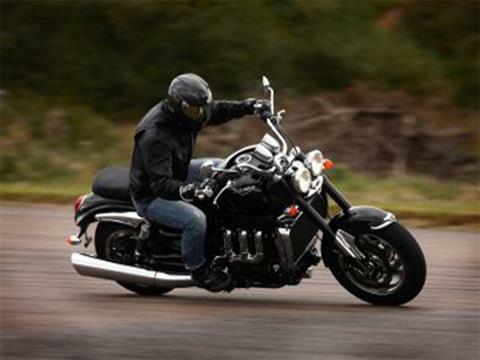 The advanced ABS brakes on the Rocket III Roadster are fitted as standard. This is a massive bike that comes with huge amounts of control. Features shown are from M16 model. Front - Cast aluminium alloy 5-spoke, 17 x 3.5 in. Rear - Cast aluminium alloy 5-spoke, 16 x 7.5 in.